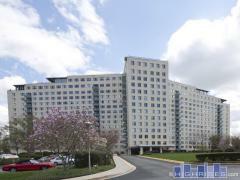 One Park Crest was built in 2008 in McLean, VA. Standing 19-stories tall, One Park Crest offers a number of amenities include a resident gym, clubroom, garage parking, and a rooftop pool. Have any comments or questions about One Park Crest? Ask your question and/or share your thoughts about this Building.